Twenty computer centers with 2,000 systems with latest Core 2 Duo processors. Expert faculty with Ph.D and support from guest faculty from industries. More than 40 acres built-up area in the campus. Research Programmes in Computer Science Engineering. 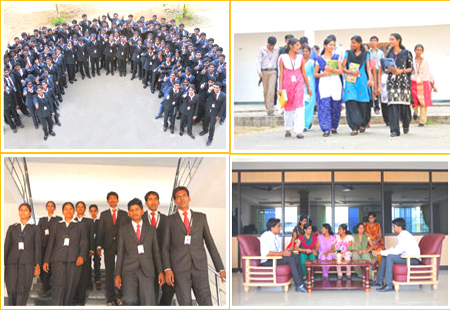 students, soft skills development programme is conducted for them. network station to provide opportunities for the students to get wireless connectivity. development of the students of this college. Education tours. In addition, career guidance programmes are periodically conducted by the cell. Air conditioned auditoriums and seminar halls. Winners of medals and trophies in sports and games. Infosys Aspirations 2020 College level winners. Exclusive Training & Placement Cell under a Director accompanied by Industrial Relations & Research Projects. Anna University Rank holders and one of the top ranking College in Salem District.